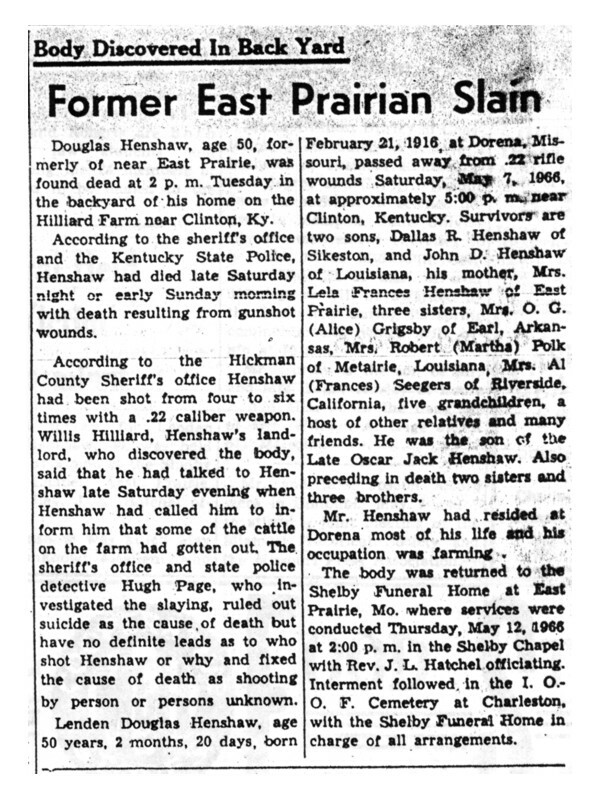 Lenden Douglas Hinshaw4,5,6,7 [Douglas Hinshaw3,8,9]. 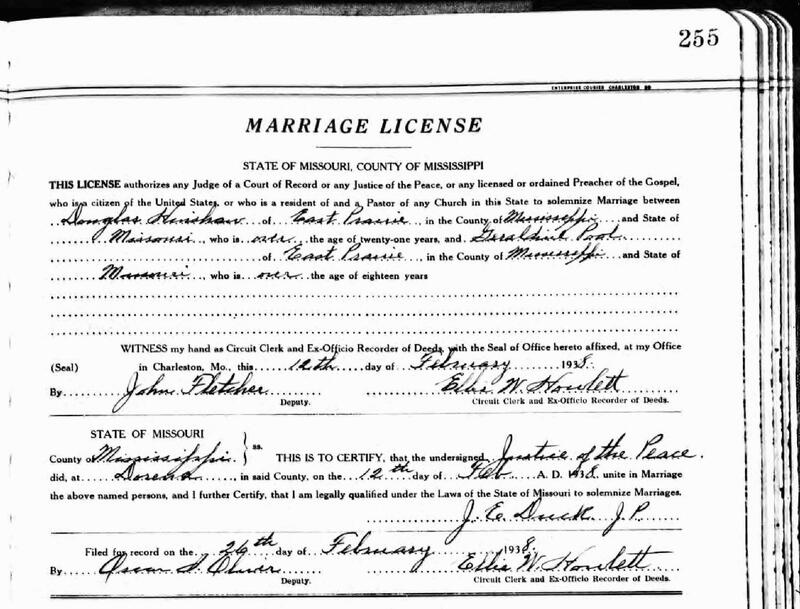 Henshaw, Gereldine, wife, age 19, born in Missouri; completed 8th grade; on Apr 1 1935 was living in the same place/area; rented farm ($3/month rent). Henshaw, Douglas, head-of-household, age 24, born in Missouri; completed 7th grade; on Apr 1 1935 was living in the same place/area; occupation: farm hand, day labor; worked 36 weeks in 1939; $250 wages in 1939. Henshaw, John, son, age 1, born in Missouri. 1940 census, Hough Township, New Madrid County, Missouri; roll T627-2132, ED 72-15, page 4A, line #21, household #74. Contribution from Andrew Jackson Hinshaw, citing: Carolyn Henry. RootsWeb WorldConnect data by Andrew Jackson Hinshaw. Kentucky Death Index, 1911-2000; http://www.ancestry.com.